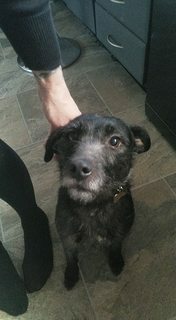 Meg is a energetic 3 year old female Patterdale Terrier who is looking for her forever home. Meg is vaccinated and micro-chipped. Meg has lived with older children. Meg is fully house-trained. Meg can be temperamental with some people and some other dogs. Meg has not lived with other animals. Meg would benefit from an experienced adult home. Please enquire. 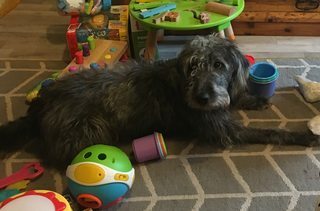 Keith is a friendly and gentle 4 year Bedlington Terrier crossbreed who is looking for his forever home. Keith is neutered, vaccinated and micro-chipped. Keith is fine with other dogs once he has been properly introduced. Keith is house-trained. Keith sometimes barks at other dogs and cats. Keith has lived around children. Please enquire. Carly is a friendly 8 year old female West Highland Terrier who is looking for her forever home. Carly is micro-chipped. Carly has a small benign lump. Carly is fully house-trained. Carly has some recall of the lead. Carly is very placid around other dogs. Carly has been used to visiting children. Please enquire. 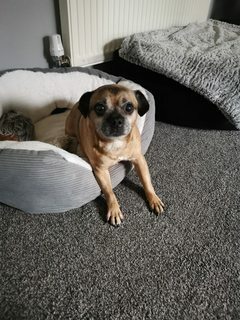 Honey is a friendly and gentle 10 year old female Pug x Jack Russell Terrier who is looking for her forever home. Honey is micro-chipped. Honey has been used to visiting children. Honey is happy around other animals. Honey is fully house-trained. Honey has lived with 3 dogs and a cat. Please enquire. Poppy is a playful 1 year old female Shih Tzu crossbreed who is looking for her forever home. Poppy is neutered, vaccinated and micro-chipped. Poppy has lived with another dog. Poppy is partially house-trained. Poppy has some recall. Poppy is friendly with other dogs. Poppy has lived with children and cats. Poppy would benefit from further training. Please enquire. 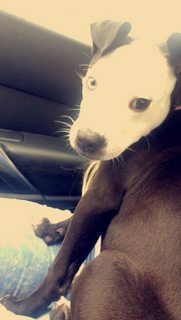 Connie is a playful 10 month old female Staffordshire Bull Terrier who is looking for her forever home. Connie is vaccinated and micro-chipped. Connie is micro-chipped. Connie has some recall of the lead. Connie can be shy with unknown dogs on walks, but is fine dogs she knows. Connie has lived with children. Connie would benefit from puppy training and someone who is around most of the day. Please enquire. Beanz is a friendly and playful 8 month old male Jack Russell who is looking for his forever home. Beanz is vaccinated and micro-chipped. Beanz is partially house-trained. Beanz has some recall. Beanz has spent time with other dogs and enjoys meeting other dogs on walks. Beanz has spent lots of time with children. Beanz has never lived with any other animals. Please enquire. 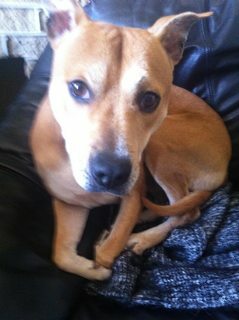 Rex is a friendly 5 year old male Staffordshire Bull Terrier x Whippet who is looking for his forever home. Rex is micro-chipped. Rex has a great temperament and has lived with children. Rex is fully house-trained. Rex is excited to meet new dogs. Rex has never lived with another animal. Please enquire. Gizmo is a friendly 8 year old female Staffordshire Bull Terrier who is looking for her forever home. Gizmo is neutered, vaccinated and micro-chipped. Gizmo is fully house-trained. Gizmo can be shy with new dogs but likes to play. Gizmo has never lived with children. Please enquire. Roxy is a friendly and playful 4 month old female Jack Russell x Chihuahua who is looking for her forever home. Roxy is micro-chipped. Roxy would benefit from puppy training with someone who is around most of the day. Please enquire.